In 1971, New York City medical researcher and publisher Arthur M. Sackler (1913–1987) and S. Dillon Ripley, then Secretary of the Smithsonian, began the discussions leading to Sackler’s donation in1982. In 1981, Sackler invited Thomas Lawton, then director of the Freer Gallery, to select Asian works of art from his vast collections to form a new museum. Lawton chose 1,000 objects to become the cornerstone of Sackler’s gift, and these objects were exhibited for the gallery’s opening in 1987 and have formed the core of many exhibitions since. The Sackler Gallery is part of a large Smithsonian complex that also includes the Smithsonian’s National Museum of African Art and S. Dillon Ripley Center. Shepley Bullfinch Richardson and Abbott of Boston designed the set of buildings, with Jean-Paul Carlhian serving as principal architect. Construction of the museum, education and research complex and its Enid A. Haupt Garden cost $73.2 million, with half of its cost being federally funded and half funded through private sources, including contributions from 38,000 Smithsonian members. A portion of those funds was applied to the construction of the Sackler Gallery, along with a $4 million gift from Sackler and $1 million each from the Japanese and Korean governments. As part of the Smithsonian Institution, the Sackler Gallery is dedicated to advancing public knowledge about the arts and cultures of Asia through exhibitions, publications, research, and education. Highlights of Sackler’s inaugural gift include early Chinese bronzes and jades, Chinese paintings and lacquer wares, ancient Near Eastern ceramics and metalwares, and sculpture from South and Southeast Asia. Since the Sackler Gallery’s opening, its collections have expanded through purchases and gifts to include an important assemblage of the arts of the Persian book from the 11th to 19th centuries; 19th- and 20th-century Japanese prints and contemporary porcelain; Indian, Chinese, Japanese, Korean and South Asian painting; and sculpture and ceramics from Japan and South and Southeast Asia. Founded to share the historical focus of its sister museum, the Freer Gallery of Art, the Sackler Gallery has increased the range of Asian art activities at the Smithsonian, developed an active program of international loan exhibitions and embraced contemporary art and a wide range of media and artistic practices. 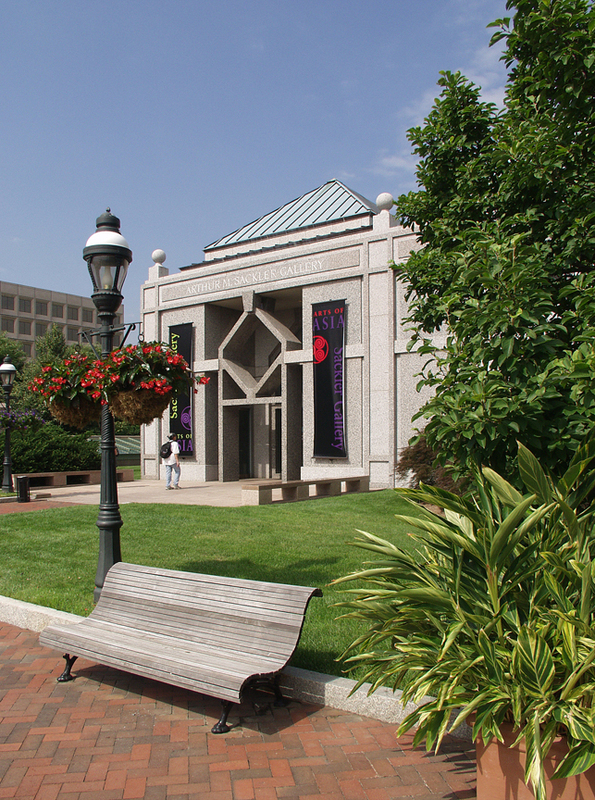 The Freer|Sackler houses the largest Asian art research library in the United States. Open to the public five days a week (except federal holidays) without appointment, the library collection consists of more than 80,000 volumes, including nearly 2,000 rare books. Half the volumes are written and catalogued in Asian languages. The archives is a manuscript and photograph repository dedicated to furthering the study of Asian and Middle Eastern art and culture, as well as turn-of-the-century American art. The archives collect, preserve and make available documentary materials that support the holdings and research activities of the Freer|Sackler. The archives house more than 140 collections—amounting to more than 1,000 linear feet of materials—dating from the early 19th century to the present. The archives is open by appointment Tuesdays, Wednesdays and Thursdays, from 10 a.m. to 5 p.m. and appointments may be scheduled by calling (202) 633-0533. Conservation at the Freer|Sackler began with the hiring of Japanese painting mounters and the establishment of the East Asian Painting Conservation Studio in 1932. This facility remains one of the few in the United States that specializes in the conservation of Asian paintings. The technical laboratory was established in 1951 and is the first Smithsonian facility devoted to the use of scientific methods for the study of works of art. Throughout the years, the work of the technical laboratory has expanded to include objects, paper and exhibits conservation. The merging of the technical laboratory and the East Asian Painting Conservation Studio in 1990 created the Department of Conservation and Scientific Research. As part of its educational mandate, the Sackler, along with the Freer Gallery, presents a full schedule of public events, including films, lectures, symposia, concerts, book readings and discussions. Public tours are offered daily, except Wednesdays and federal holidays, and are subject to docent availability. Many of the programs are enhanced through activity guides, program notes, brochures and other publications. There are special activities for children and families and workshops to help teachers incorporate Asian art and culture into their curricula. 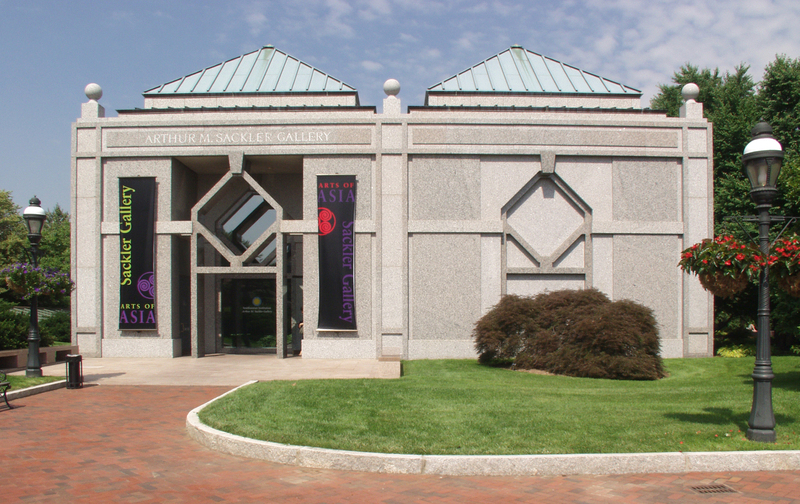 The Arthur M. Sackler Gallery, located at 1050 Independence Avenue S.W., is on the National Mall in Washington, D.C. Hours are 10 a.m. to 5:30 p.m. every day, except Dec. 25, and admission is free. The gallery is located near the Smithsonian Metrorail station on the Blue and Orange lines. For more information about the Sackler Gallery and its exhibitions, programs and other events, the public is welcome to visit www.asia.si.edu. For general Smithsonian information, the public may call (202) 633-1000. Arthur M. Sackler Gallery in Washington, D.C.